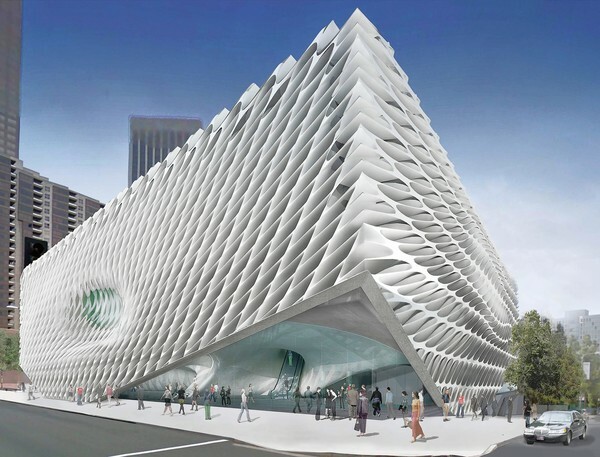 Saw this image in this week's Los Angeles Times - a proposed design for the Eli Broad Museum to be located on Grand Avenue in downtown Los Angeles, next to the Walt Disney Concert Hall. I really like the design, and love the plan for the main entrance. But I have to wonder what the plan is to keep those surfaces clean (from dirt, birds, and everything else).